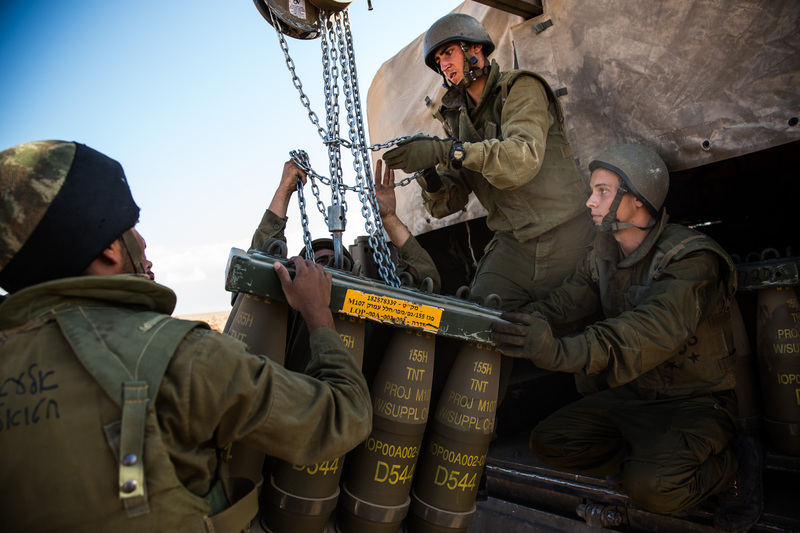 Israeli soldiers receive a new crate of artillery shells for firing into Gaza on July 17, 2014 near Sderot, Israel. As the Israeli operation 'Protective Edge' enters its tenth day, the body count in Gaza has reach over 200 people. One Israeli has been killed in a Mortar attack.